Penny Brookes Street runs along the south side of the East Village development, and is just north of Westfield shopping centre. We can be reached from Stratford Station and Westfield by walking up Montfichet Road then turning left. We are on the right, just past Mirabelle Gardens. 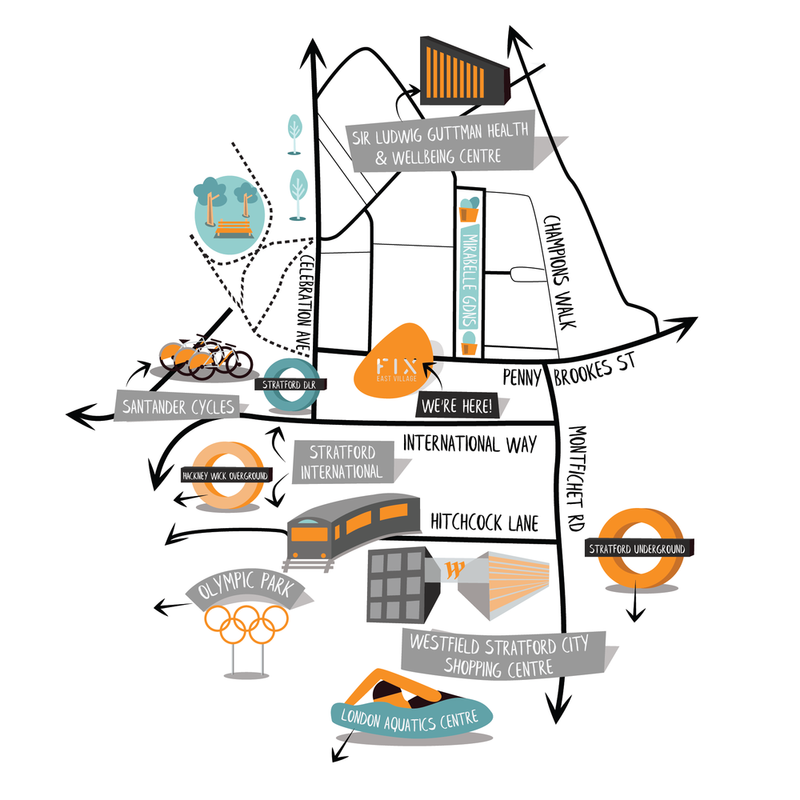 At the other end of Penny Brookes St you will find Stratford International Station and, beyond it, the Olympic Park. 2) Stratford International Station Car Park - Up to 20 mins free, up to 24 hours £6. Please note that there is about a 5 - 7 minute walk from these car parks to the clinic.